Design Dye is a fun and fast growing art and craft supply that you can be a part of. If you own or operate a retail establishment we encourage you to take advantage of our wholesale offering by filling out our brief application found below. After the application is completed, a Design Dye Team Member will review your information and be in contact with you shortly with more information. We are excited to announce a special pack now available exclusively for retailers. An array of Design Dye colors and special retail pricing, fill out the wholesale form below to learn more. The Design Dye Color Pack provides people of all ages and artistic experience a unique and fun process to create in a new and innovative way. Design Dye is safe, easy, provides more design flexibility than other mediums, creates finished results that far exceed the quality of other products and all without any mess. The core of the Color Pack is Design Dye. 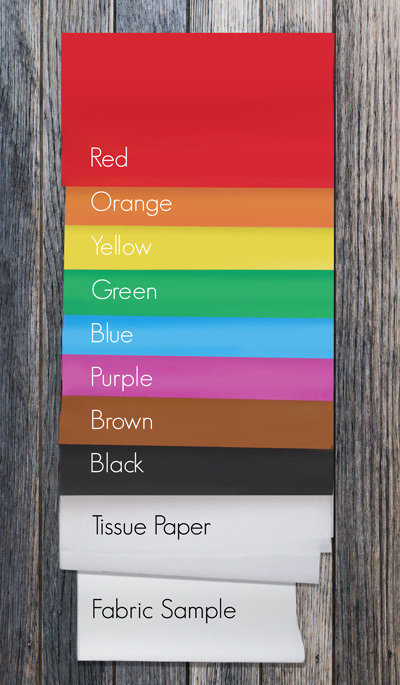 Our exclusive Design Dye is paper coated with a specialized NON-TOXIC and VIBRANT dye. When cut into shapes and graphics, put color side down and ironed, Design Dye will move into fabrics, woods and more to create vibrant, mixable colors. Our Number 1 Question Received Online is "Where can I buy this!?" We are happy to work with retailers big and small, domestic and international with support that scales to deliver Design Dye products to our excited customers and to ensure sell through. Your success is our success and we look forward to growing with you. Professional artists and designers appreciate the quality and ease of replicating a 4 color process by mixing colors but on surfaces not easily done with other mediums. Crafters and scrapbookers enjoy the simplicity, professional results and ability to use their paper crafts cutting machines. Families love Design Dye being easy enough for kids to use safely with no mess and no toxic chemicals. Fine Artists realize Design Dye's limitless potential on canvas, sculpture, carvings etc. Fill out the form below to get access to our Wholesale Store where pricing, packaging, terms, shipping and sales support materials will be explained. Thank you for taking the time to fill out an application! A Design Dye Team Member will review your application and get in touch with you shortly.